Why isn’t your Facebook page booming? With over a billion daily active users, there’s definitely room to grow your business using Facebook. Update your approach and set yourself up for social media marketing success. One of the most important aspects of your Facebook business page is your Cover Photo. It’s the largest element of your brand identity via Facebook and the first thing people see. It should offer something fun, exciting, or engaging to keep users on the page. But there are other things you can do to create a response as well. Adding text to your cover photo gives you room to write a headline and inform visitors about something else to act as a separate call-to-action. Not to mention, you can say a little more in the caption to get visitors to click through to your website with a link. There are plenty of ways to promote your page. You can promote it through Facebook with paid advertising that can be adapted to a specific location, set of interests, and pages users have liked. You can also use more subtle ways to promote your page such as adding a Facebook “like” box via plugin to your website and linking to your Facebook business page in any bio, email signature, and relevant places you share content across the internet. Invite your current friends list to come like your page to avoid starting at “zero”. The key to engaging more fans and gaining a following with your brand is to post regular content. This means you want to keep a steady stream of consistent, quality, and related posts to give your Facebook followers something to view on a daily basis. Content doesn’t just have to be a post, it can be photos, videos, blog posts, and other popular content you can find that relates to your audience. People want excitement (something worth talking about), so stay away from anything vague or just plain boring. Integrating your Instagram account allows you to take the photos you’ve already posted and share them on your Facebook business page. The great thing about this is that you can share them directly from the Instagram app by clicking “Share” and choosing Facebook from the menu on a particular photo. It even borrows your caption, so no need to write a new one! This is the trick, getting the likes. But how does it work? All social media websites are different, but there is definitely an “informal” air about Facebook. If you’re wondering why your Facebook business page is suffering from lack of audience, it may be because you’re droning on about stuff no one on Facebook really cares about. Think about it — why do most people visit Facebook? It’s an everyday habit, they are looking to connect socially, or else, they are bored. Give these people something to grab onto by answering your audience's needs with fresh content by keeping best copywriting practices in mind. Would you want to see or read that? If you’re still struggling to engage your followers with content, try an app to help search for relevant topics. There are a number of apps and software tools that allow you to schedule posts in advance. This is important when running a Facebook business page, because consistency is key. Sometimes you might struggle to find new content, but marketing tools like Post Planner help you locate engaging content that’s specific to your niche. Other social media automation softwares and scheduling tools with more complex analytics and posting capabilities include Hootsuite, Buffer, and Hubspot. It’s a good idea to compare the best marketing automation softwares for social media before setting it up on Facebook. It’s not about more likes or more fans, it’s about engagement. Remedy post reach issues by adapting your content to engage your biggest fans, even if they are few in number in the beginning. The more fans that are liking, commenting, and engaging with your content, the more reach you’re likely to receive with each post. Posts that get more engagement on Facebook tend to appear toward the top of the algorithm and show up in more users’ news feed. This means that you can actually benefit from fewer, more engaged followers than a bunch of “empty” page likes that amount to zero engagement. Don’t forget to reply to comments, and keep the conversation going. This helps build trust and loyalty with past and potential customers. Go to your dashboard to take a look at past content under “Published Posts”, and see how your content is doing with numbers for “reach”, “likes”, “shares”, and “comments” to adapt a more successful social media strategy. There are many opportunities to add a Call-to-Action and evoke a response in your audience. First, there is a Call-to-Action (CTA) button embedded in the top of your business page. It’s up to you to select a CTA from the list that’s relevant. What’s great about the CTA button is that you can link it to whatever page you are trying to promote, so make the button speak to the page link. In addition, it’s good social media marketing practice to add a Call-to-Action with a link back to your website from Cover Photos, Profile Photos, and other photos found throughout your page for a higher click-through rate and more successful Facebook business page. When posting content, it’s also sometimes more effective to spell out a clear call-to-action, such as “>>click LIKE<< if you agree”. It’s impressive when you see this executed properly. Connect your Facebook profile photo and cover photo, so that together they complete a picture. This means that the designs of each will connect, but this is not exactly an easy task. Even some of the best brands and companies can’t get this part right. Facebook likes to shrink your profile photo from 180x180 to 160x160 which could throw off the alignment of your design. So how do you make it look sleek? You just use this Facebook profile and cover photo template provided by Pauline Cabrera. Facebook is a great place to advertise sales events and content. You can now post multi-product ads from the Ads Manager that are impressive and easy to view on both computers and mobile devices. Using dynamic product ads helps you target customers based on a specific page they’ve previously visited. There are other ways to narrow down an audience, such as local awareness ads. One of the most recent additions is Lead Ads (via Power Editor with Chrome web browser). Lead ads are a great way to get more information from your customer. A Lead Ad automatically populates a form with the Facebook user’s information, like name and email, so that more potential customers can be converted into leads. This is a great way to allow a customer to pre-order your products/services or signup for an offer in advance. Last, Instagram Ads via Facebook are another popular way to promote your business page using Power Editor. These ads allow you to start building your following with Instagram in conjunction with your Facebook business page for a more effective social media marketing strategy. An effective way to directly connect with the people who follow your page is to send them an invitation to an event. An event can be a discount, sale, or in-person opportunity that’s made exclusively for your Facebook audience. The invitation and updates (if accepted) will show up directly in their notifications, which is a great way to create a response. You can set up an event well in advance to get your Facebook community talking and engaging before it ever begins. Another way to create a response is by building your own mobile app for your business and opting to promote it on Facebook. The good thing about this is that you can make it easy for your followers to search for and download with a click. Did you know, it’s estimated the ideal Facebook post length is 30-40 characters? Who knew? You might be overdoing it. If you’re not getting a response with posts on Facebook, try keeping your text brief. Apparently, Facebook users tend to pass on lengthy reading. Humanize your image online by telling a story. This you can do by posting “behind the scenes” photos of staff or simply engaging with customers one-on-one. With this idea in mind, you can get creative with it by asking your Facebook brand fans and happy customers to share their own personal photos of your products and services in use. If you still have questions, you can learn how to do just about anything else with your Facebook business page here. 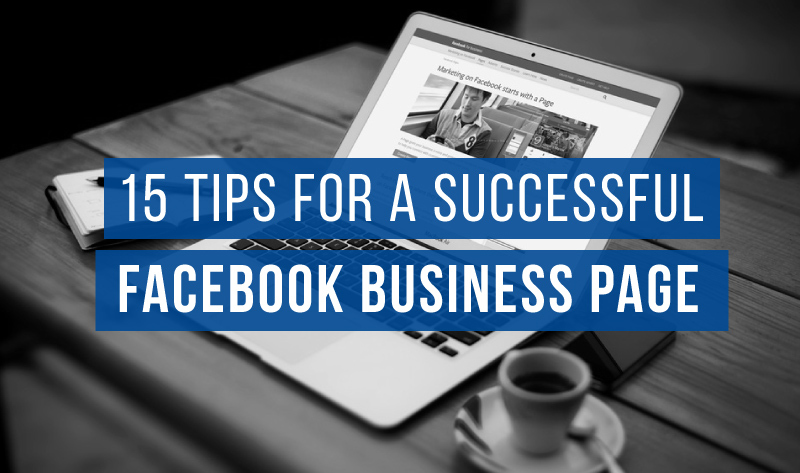 Did this article help you create a successful Facebook business page? Let us know which tips you use for better social media businesses pages. Leave a comment, and share this article with your network. The 9 Biggest Updates to Facebook Advertising. This is a guest contribution from Amber Racer of @RevitalAgency.